From the beginning of Dr. Jane Goodall’s research in 1960, she knew that humans and chimpanzees share many similarities. She discovered that chimpanzees use tools, engage in cooperative hunting, and form strong bonds with family and community members. Dr. Goodall’s pioneering discoveries, which removed the assumed separation between us and the rest of the animal kingdom, captivated the world. Today, chimpanzee research at Gombe and elsewhere has continued to tease apart the distinctions between chimpanzees, humans, and other apes. With World Chimpanzee Day fast approaching on July 14th, this is an opportune time to reflect on some of the most interesting similarities we share with our closest living relative, chimpanzees. The following studies continue to show just how much we have in common with chimpanzees. In Dr. Goodall’s early years at Gombe, she witnessed the entirety of the only known civil war among a chimpanzee community. Dr. Goodall’s copious field notes, digitized at the Jane Goodall Institute Research Center at Duke University, were used to further analyze the catalysts of the growing friction that resulted in the once cohesive community’s eventual fission. Data from the five years leading to the war were used to map the chimpanzee’s social networks, determined by grooming and association, to determine the catalysts of the fracture. It was found that between 1971 and 1972, the year preceding the war, the community was forming and solidifying subgroups, or cliques. In addition, infighting for power between the three highest ranking males and an unusually skewed male to female ratio defined the community during this year. The research also found that social networks and ranging patterns predicted the membership of the northern and southern factions. Group members remained with individuals they had preferred prior to the split. This study showed that the community’s growing friction and eventual split was caused by intense power struggles, internal competition, and fraying social dynamics. The result was a four-year civil war filled with deadly clashes and land grabs. Read more about these findings here. In the first study to examine the relationship between social play and developmental milestones in great apes, 33 years of data on infant chimpanzees in Gombe National Park was analyzed. The researchers hypothesized that infants who spent a greater percentage of time engaging in social play would reach motor and social developmental milestones at a younger age. The findings were clear. Infants who spent more time playing were observed riding dorsally and traveling independently, two motor milestones, at an earlier age. Socially, these infants were also ahead of their peers. They reached the social milestone of spatial independence from their mother, attempted grooming of non-maternal kin, and pursued their first “mating” at earlier ages. Thanks to the long term behavioral and developmental studies of chimpanzees at Gombe, the benefits of playing for infants has been proven to include motor and social benefits. 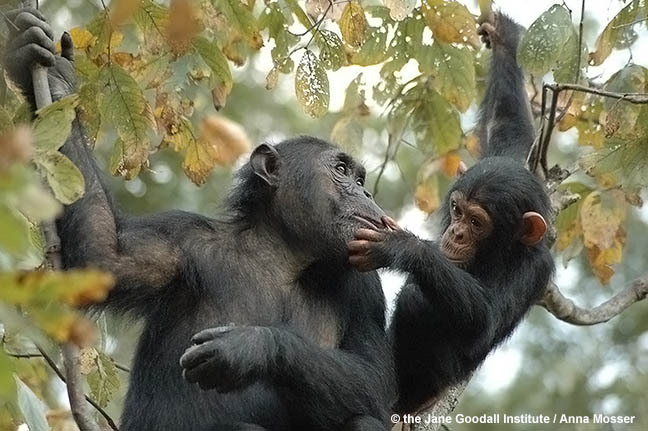 Just like humans, chimpanzee infants thrive from the simple but essential act of playing. The Jane Goodall Institute has been studying wild chimpanzees for nearly 60 years in the longest running wild primate study in the world. The discoveries here continue to provide seams to unravel the fabric of what it means to be a chimpanzee, and what it means to be human. 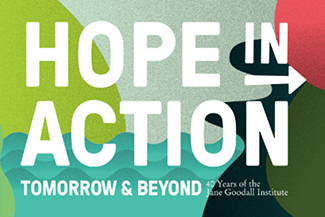 To celebrate the anniversary of the day Dr. Goodall first stepped foot in Gombe and the first World Chimpanzee Day this July 14th, learn more about JGI’s ongoing groundbreaking research and get involved here. 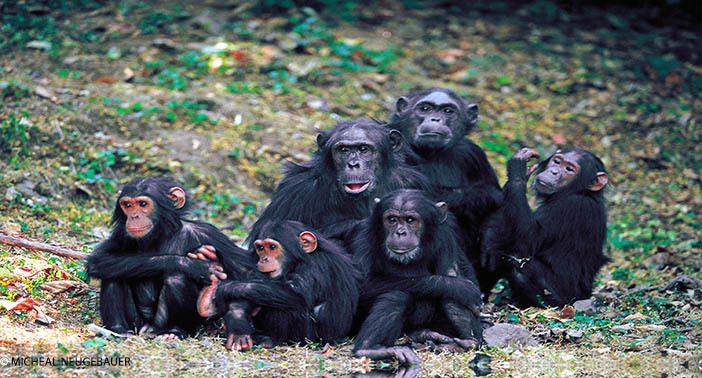 Previous ArticleFrom Top to Bottom, Chimpanzee Social Hierarchy is Amazing!